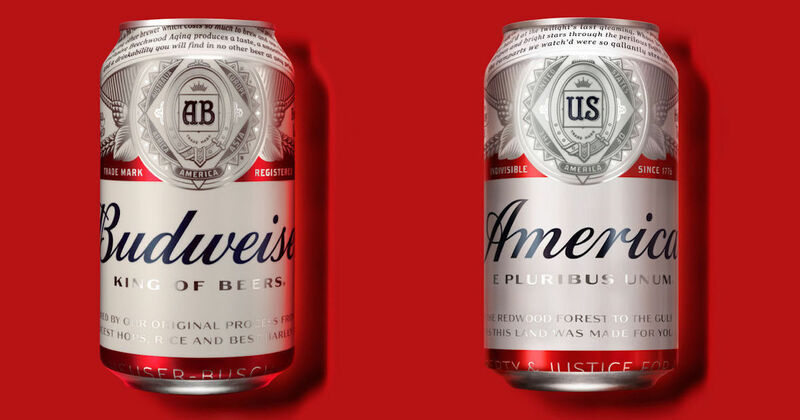 Budweiser cans will now be labled as “America” on the front the 12-oz. cans and bottles. The brand is also modifying Budweiser’s iconic label to add copy that is central to American history, including phrases from the Pledge of Allegiance and lyrics from “The Star Spangled Banner” and “America the Beautiful.” These limited edition cans will be on shelves nationwide from May 23 through the election in November. The goal…to inspire drinkers to celebrate America and Budweiser’s shared values of freedom and authenticity. For better or worse, this is just one of those things that companies do to get market traction; and luckily for us the silver lining is the internet never fails to add a sprinkle of satirical icing to sweeten the deal. According to The Harris Poll Beer, beer is the top beverage in the United States. Are you surprised? We’re not!